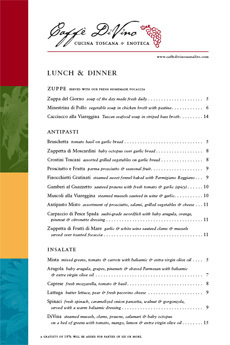 Provided a face lift and stronger brand image for this Sausalito Tuscan restaurant and wine bar. Menus, stationery, business cards, gift certificates, coffee dispenser labels and banners were all part of the design package. Sausalito, California U.S.A. © 2011 Dana K. Herrick. All rights reserved.